Graham McTavish iconically starred in The Hobbit: An Unexpected Journey as Dwalin the dwarf in Peter Jackson's blockbuster trilogy. Before The Hobbit he had lead roles on the big screen in Sylvester Stallone's Rambo (2008), Columbiana (with Zoe Zaldana), Middlemen (with Giovanni Ribisi and Luke Wilson), and Secretariat (with Diane Lane). 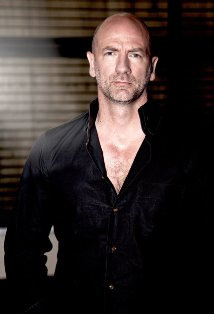 McTavish has had roles in cult TV shows such as Lost, 24, Prison Break, and NCIS. In the UK McTavish is known for lead roles in Red Dwarf, Sharpe, The Wicker Tree, and Green Street 2, as well as numerous leading roles in theatres ranging from the Royal Court in London to the Royal Lyceum in Edinburgh. Gamers know him from the hugely successful Unchartered series and Dante's Inferno.